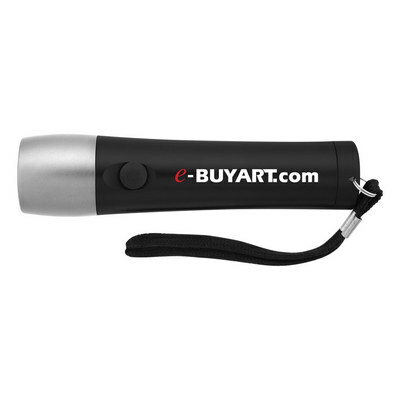 A super bright 14 LED aluminium flashlight with a push button On/Off switch. Includes a strap and 3 AAA batteries packaged separately. Price includes choice of laser engraving or one colour pad printed logo. We recommend laser engraving. Printing will fade over time. Individually packaged in a white box. Colours: Black, Red, Dimension: 89mm long. Price includes : 3 Day Service* Pad imprint - One Colour/Location . Setup is included.